I don’t know about your dogs, but Holly and Truman love burlap sacks. I only know this because over the past year I have used potato sacks around the house in multiple DIY projects. They have replaced pillow covers, curtains, placemats, and now dog beds. 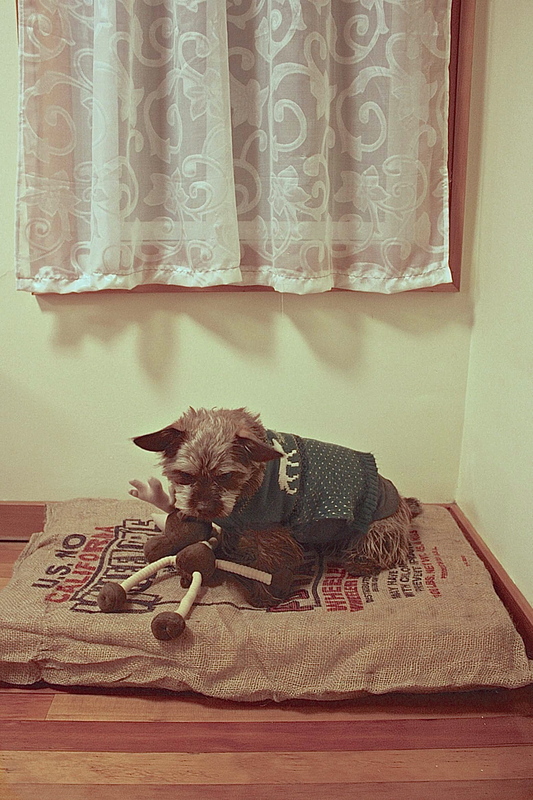 This is actually my second dog bed that I have made from burlap. 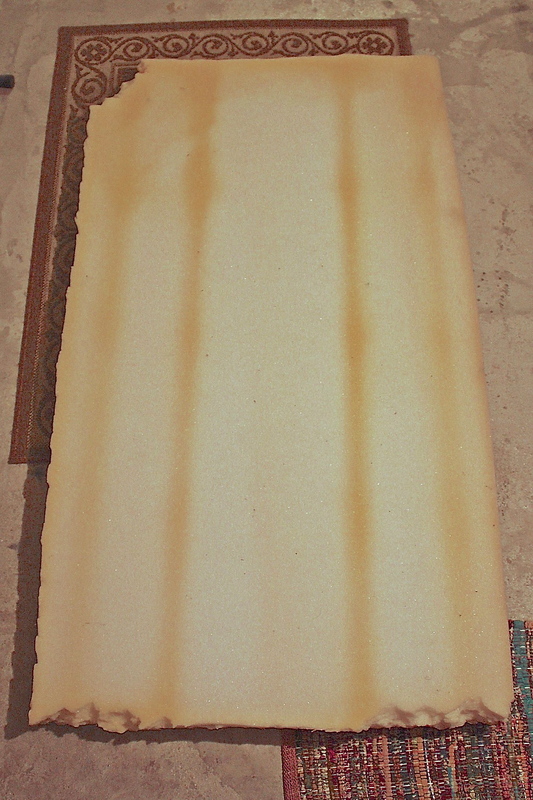 The first bed bit the dust around the 5-month mark after Truman expressed too much fondness towards it. He loves burlap so much that he will lay and roll and scratch at the bed, over and over again, before settling down and falling asleep. When he wakes up, his hair is messy and he smells distinctly like a potato sack. Who could get mad at that? 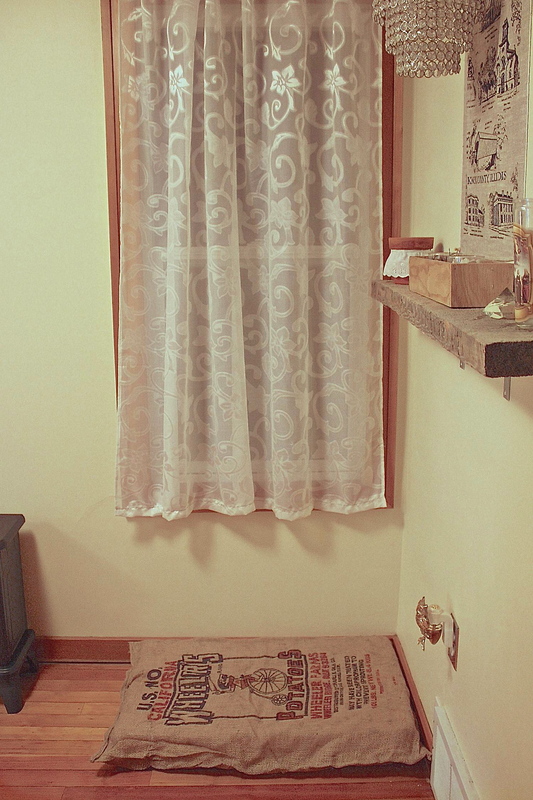 Burlap is unique and inexpensive; two characteristics that I cannot get enough of. I initially bought 6 sacks off of eBay for less than $3.00 a piece. If you are going to purchase some for yourselves, I highly recommend going that route. That, or through your local classifieds. 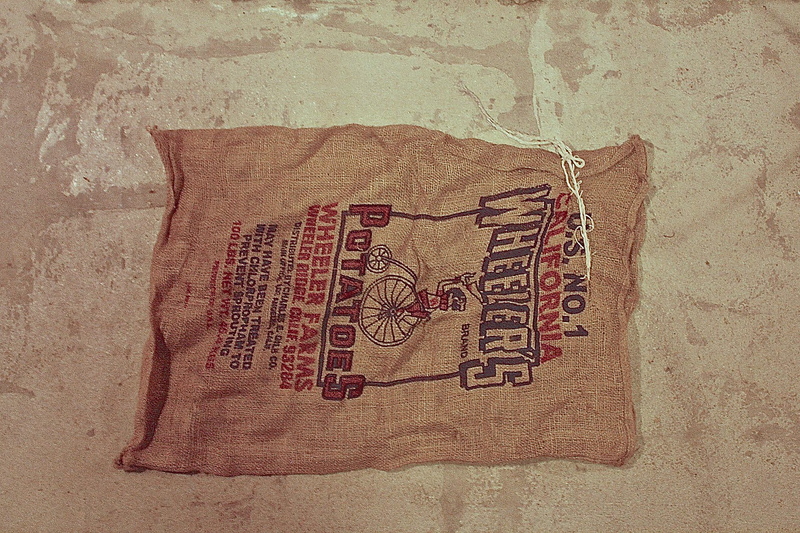 I always see burlap sacks for sale in antique stores, but rarely do they go for anything less than $30. That’s a bit outrageous in my mind. Because the sacks are large and double-sided, each one goes a long way. 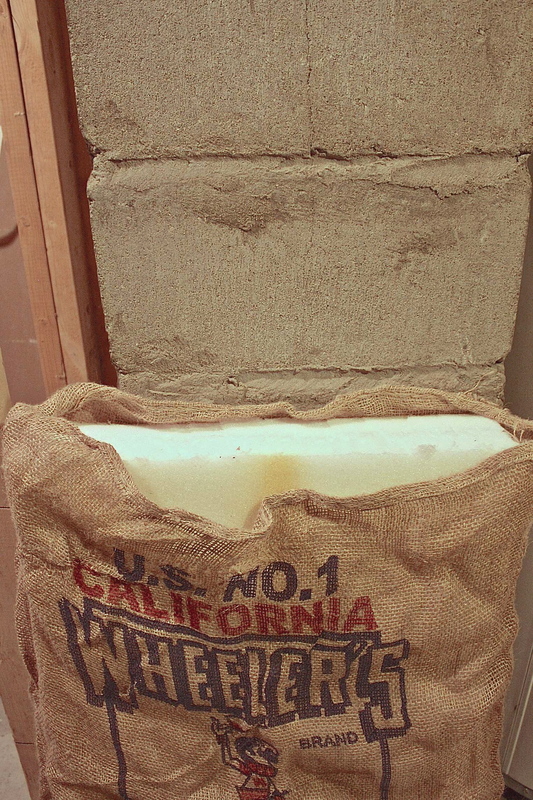 If you enjoy crafting with more natural materials, burlap is an incredible investment. Oh! You get nice texture from the burlap. My dog is about the size of a moose but I love the idea. Thanks for commenting on my blog! 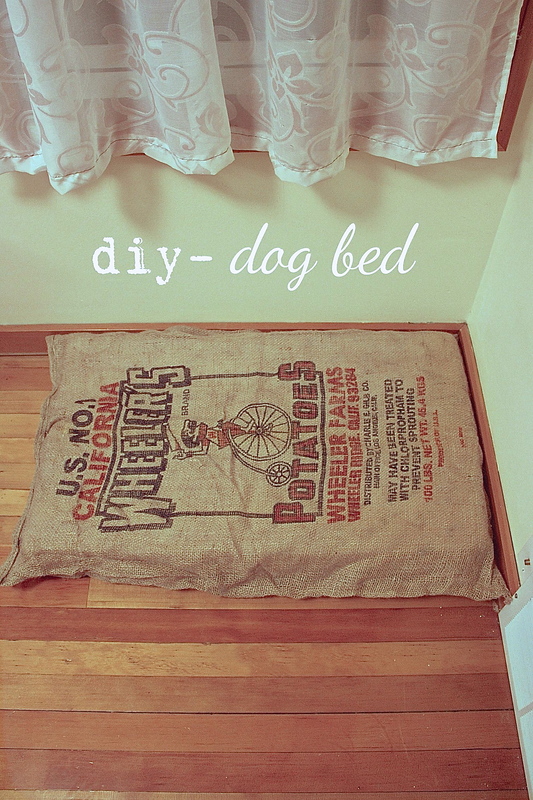 I love this idea, I might just have to make make one for my dog. The only thing I would change for myself would be to add a zipper so I could wash it. Great, GREAT job!!!!!!! He looks right at home, too. I love DIY almost anything! Great tip! Thanks for the great idea Em. It looks easy to make, so attractive and Tru is adorable! This is an awesome idea! Thanks for the tip! I’ll plan on giving this a try for our Otis.